From Randy's Book "The Key to Keys"
For more than 3 decades, our Founder, Randy Neely, was in a position that, if critical keys were lost or misplaced, he would get the call, usually in the wee hours of the morning. The call would come from a security supervisor or manager telling him, “Randy, we can’t find our keys.” And then the dreaded, “We’ve all been looking for them for hours. What should we do?” Here are three stories of many, many, that Randy has dealt with over his career. 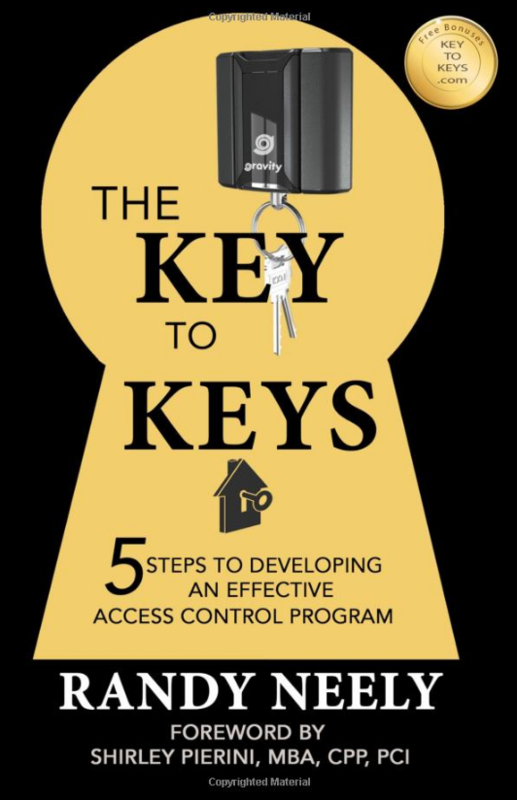 Share your Key Loss story with Randy and receive a FREE copy of Randy’s book: The Key to Keys – 5 Steps to Developing an Effective Access Control Program. Continue reading below for additional thoughts from Randy regarding keys and key control. Don’t hold your breath. Losing or misplacing keys, whether they’re hard keys or card keys, is a breach of security. It doesn’t necessarily mean that you’re going to have to rekey a building. In fact, 99% of the time that keys are lost or misplaced, they’re found. Sometimes they’re found within minutes, other times, it takes hours (even days). In True Story III (above), 72 hours elapsed before it was discovered that keys had gone missing. The real issue in key control is that someone could be using a set of misplaced keys for hours and no one knows it. It’s the security breach that is the true problem, not the rekey. It’s a fact, if your building has electronic card access and you’ve discovered that a card key is missing, you can shut that card off – you don’t have to rekey the building. But the operative word here is “discovered”. For as far as we can see into the future, buildings will require the services of janitorial staff, maintenance or engineering workers, and in most cases, security officers. These people will be required to access multiple locations in a building – all with different risk factors. Whether the access they use is a hard-key or a card key – if they set the key(s) down and walk away or they misplace, lose or have them taken, we want to know as soon as possible. Every minute that the key(s) is unaccounted for, someone could be mis-using it and that shouldn’t be. It is a huge risk. With Gravity, that risk can now be mitigated.